Giant clams (Tridacninae) are largely threatened globally, but information regarding their distribution and abundance is deficient in many locations, including in the Republic of Mauritius, situated in the Western Indian Ocean region. In this study, we investigated the spatio-temporal variation in the population density of giant clams in April and May 1999, 2010, and 2016 at seven reef sites around Mauritius: three marine protected areas (MPAs) and four non-MPAs, using three 250 m2 belt transects at each sites. Two species of giant clams were identified in the surveys as Tridacna maxima and Tridacna squamosa, and further classified into: juveniles (shell lengths, 0.1–79 mm for T. maxima and 0.1–149 mm for T. squamosa) and adults (shell lengths, ≥ 80 mm for T. maxima and ≥ 150 mm for T. squamosa). Our results showed a significant decline in the densities of both species from 1999 to 2016 at all seven sites. A weak positive relationship was observed between the adult and juvenile categories in T. maxima (r = 0.340, p = 0.602) and a strong positive relationship was observed between the adult and juvenile categories in T. squamosa (r = 0.887, p = 0.094) at the MPAs, but opposite relationships were found in non-MPAs. Findings suggest an overall significant decline in densities of tridacnines, for both species and size classes, irrespective of protection levels at sites. 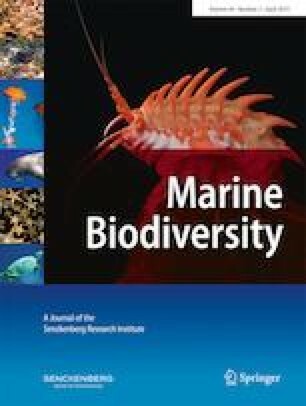 This study warrants further investigations to thoroughly understand the potential causes of tridacnine decline in order to better formulate conservation and management strategies for this unique, threatened marine bivalve in Mauritius. The authors thank the Ministry of Ocean Economy, Marine Resources, Fisheries and Shipping for granting the permits to carry out sampling and field studies around Mauritius Island and the University of Mauritius for logistics and partial financial support to undertake this research work. SR is also thankful to the Mauritius Research Council for a postgraduate award. NTH and RB are grateful to the University of Mauritius for setting up a Pole of Research Excellence in Sustainable Marine Biodiversity. MLN acknowledge the National Research Foundation (NRF), Singapore, for supporting her research endeavors at the St John’s Island National Marine Laboratory. The authors are thankful to the anonymous reviewers for insight comments that have improved the manuscript. This study was funded partially by the University of Mauritius. Sundy Ramah has received a Postgraduate Award Grant from the Mauritius Research Council (MRC). The authors declare that they have no conflict of interest. All necessary permits for sampling and observational field studies have been obtained by the authors from the competent authorities and are mentioned in the acknowledgements.